College debt is a monster that’s ruining lives, says state Senator Eric P. Lesser. A routine advocacy meeting at my State House office last year ended on an unexpected note when one of the attendees shared her student loan story, knowing my work on the issue. Springfield resident Shanique Spalding said that after she graduated from Mount Ida College in 2011, she started making her student loan payments, and then she lost her job. Her loan servicer, National Collegiate Student Loan Trust, did not allow Spalding to defer payments, nor did it offer other repayment options. It also told her she owed $20,790.66, far more than the original loan amount of $5,705.39. The servicer gave her no way to negotiate a payment plan, and was missing records showing months worth of payments she had made. Spalding, after spending more than $5,000 in legal fees, says she reached a settlement for about $7,000. The way she was treated is shameful, and unfortunately, far from unique. Multiple student loan servicers have been fined or sued by the Consumer Finance Protection Bureau or state attorneys general for abusive practices. Some 44 million Americans carry student loans totaling more than $1.5 trillion, and in 2016 someone defaulted on a student loan every 28 seconds. (In Massachusetts, roughly 855,000 residents owe $33 billion in student loans.) It’s estimated that by 2023, 40 percent of student borrowers may default. The most affected will likely be people of color — in the 12 years following the 2003-2004 school year, nearly half of African-American student borrowers and more than a third of Hispanic ones defaulted, as did one-fifth of white borrowers. 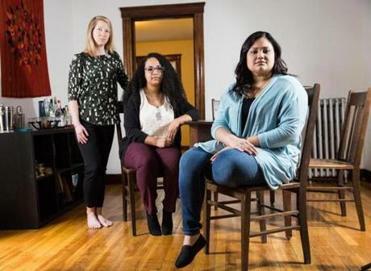 Many students, especially those from families with limited assets, must take out loans with aggressive repayment terms, only to find themselves in entry-level jobs, barely able to make payments that will last for decades. Worse, student loans are like the cockroaches of debt — they never go away. Even bankruptcy generally doesn’t get rid of them. Defaulting can mean a ruined credit rating, without relief from paying back the loans. Students take on debt because people with college degrees on average see far higher earnings than those without. 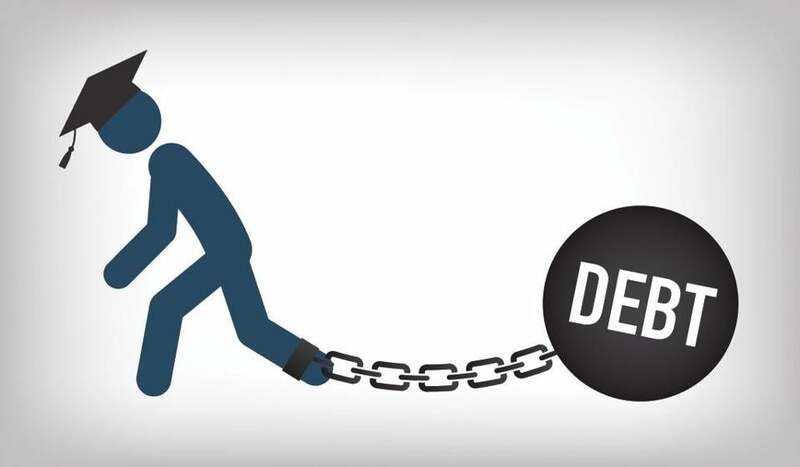 But there is growing evidence that for some born in the 1980s, student debt is eroding the collegiate wealth advantage — college graduates still get paid more, on average, but their debts prevent them from building more assets. The result is that millennials, my generation, are poorer than both baby boomers and Gen Xers were at the same stage of their lives. Markers of adulthood once taken for granted, like buying a car or saving for retirement, are getting harder. The Federal Reserve estimates that every $3,000 in student debt delays home ownership by a year. Since Massachusetts residents with student loans average nearly $39,000 in debt , it could mean well over a decade before they buy their first homes. Despite the escalating debt crisis, armies of lobbyists have aligned with the Trump administration to undo even modest protections, like the one that bans loan servicers from slapping excessive fees on borrowers who quickly begin repaying after a default. Under Trump’s appointees, the Consumer Financial Protection Bureau has not taken a single notable enforcement action on behalf of students against a loan servicer, though more than 1,400 complaints have been filed by Massachusetts residents alone. A scathing audit released in February by the Department of Education’s inspector general details how federal regulators failed to police widespread abuses by loan servicers. With so much stacked against us, it’s easy to lose hope. But we millennials are not powerless. We are the largest, most diverse, and best educated adult generation in American history . We are an emerging political force, and we can effect change. California and Connecticut have already passed laws setting up licensing and accountability standards for student loan servicers, and there are efforts underway in a number of other states to pass new protections. Massachusetts must do the same. Last year, working alongside grass-roots advocates, the Massachusetts Senate passed a “Student Loan Bill of Rights.” The measure never made it to the House, let alone the governor’s desk. This year, I’ve refiled the student loan bill, alongside State Representatives Natalie Higgins, Democrat of Leominster; Adrian Madaro, Democrat of East Boston; and several other lawmakers, many young and carrying student loans themselves. The bill would beef up the attorney general’s student loan assistance unit, creating a student loan ombudsman and giving that position the teeth to defend the interests of student borrowers. This would be a one-stop customer service shop, giving students a place to get questions answered and to send complaints. The ombudsman would ensure student borrowers are notified of their rights and are not getting ripped off. In a system filled with advocates for the banks and servicers, there would finally be a dedicated advocate for students and their families. It would also create new state-level oversight of student loan servicers, and establish standards to prevent abusive practices such as misleading students about interest rates and payment schedules. State officials would gain the power to punish loan servicers who break the rules, up to and including kicking them out of Massachusetts. Instead of serving as an engine of mobility, our country’s student loan system is doing the opposite. Making this bill law will help Massachusetts college students, recent graduates, and their families avoid having their dreams derailed. Eric P. Lesser is a state senator from Longmeadow and an advisory board member for the Student Borrower Protection Center. Send comments to magazine@globe.com.